The Palacio Legislativo Federal (Federal Legislative Palace) was a never-completed building for the legislative bodies of the Mexican Federal Republic. 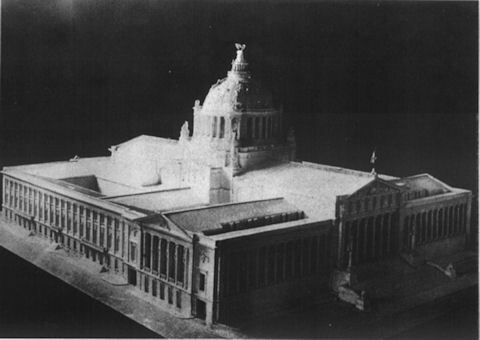 The photo above shows an architectural model of the proposed Palacio. Towards the end of the 19th Century, the Mexican Government decided to commission an emblematic and proud building to house the Chamber of Deputies and the Senate. Inspired by the Reichstag in Berlin, designs were drawn up and work commenced in the early years of the 20th century. 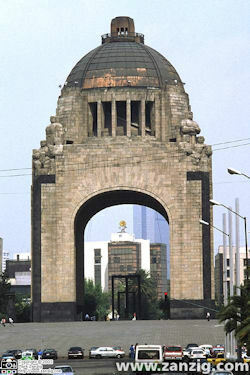 After the Mexican Revolution broke out in 1910, attention and resources were deflected away from the project and only the foundations, the central cupola and the iron skeleton were completed. The building remained standing and rusting until the 1930s when it was finally decided to demolish the structure but keep and adapt the cupola to become the Monument of the Revolution. 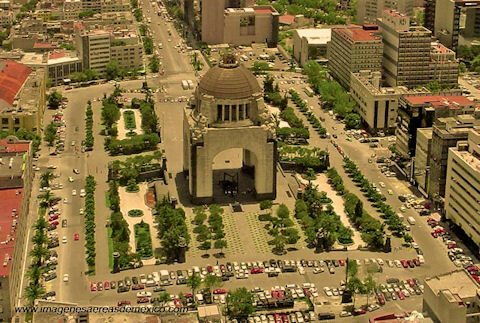 The massive structure stands today as a mausoleum to the heroes of the Mexican Revolution and a reminder of how the Capitol of Mexico could have been.